They're good. They're really good with their work, and they're very professional. For commercial work, they're good, but I do feel like it could be a little pricey, but I'm not sure. The quality of the work was good, so I feel like I can't complain. Shawn was the one I was working with the whole time. He was always communicating, even the smallest thing to me. He always calls me in advance and tells me they're going to be there at whatever time. I think that's important, especially with a big business going on. They're honest, reliable, and they have a quick turnaround time. They are very accessible via telephone and email. I would highly recommend their services. They are very accurate, professional, and competent. They were on time, responsive, professional, and they did a very satisfactory job. 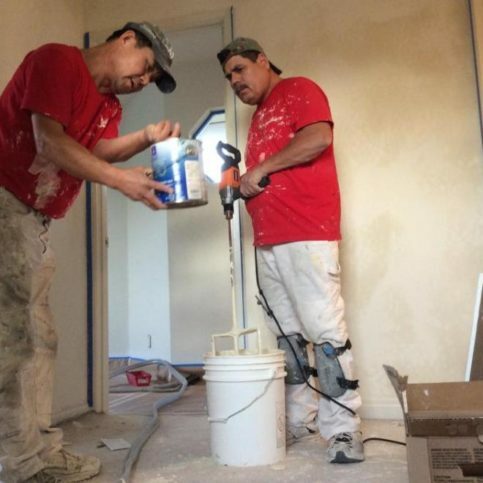 T & J Painting provides a wide range of interior and exterior painting services for residential and commercial clients throughout San Mateo County. 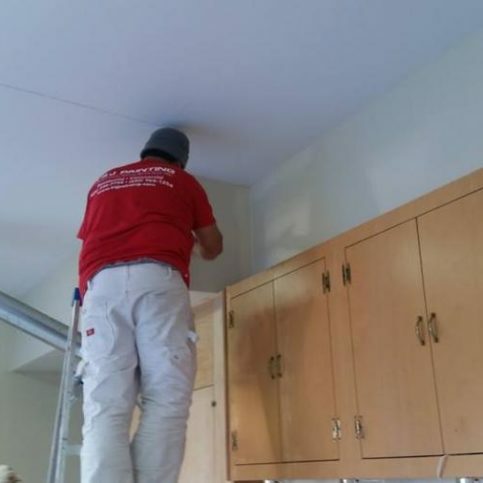 The company has the in-house capabilities to handle every step of the painting process, from surface preparation and wallpaper removal to texturing and retexturing, and it offers complimentary consultations so its customers can choose the right colors for their projects. 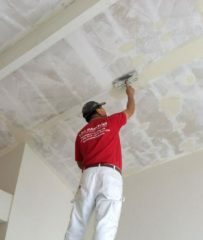 Owner Tony Park works on an interior painting project. 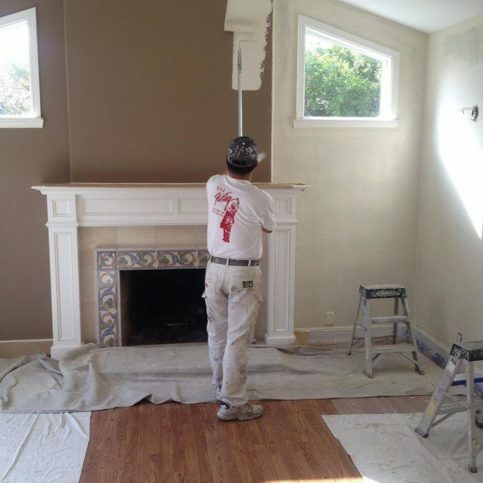 T & J Painting has been providing interior and exterior painting services for residential and commercial clients throughout San Mateo County since 1993. 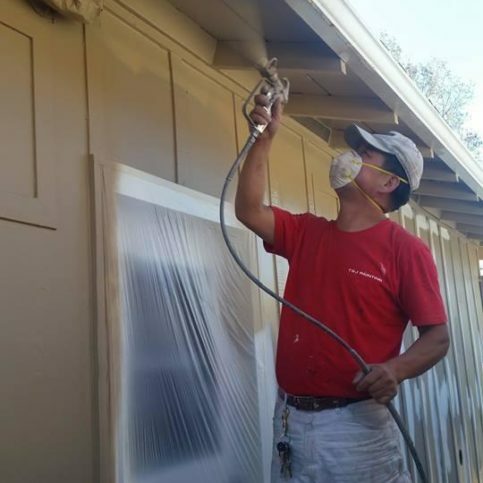 The company has the training and equipment to handle every step of the painting process, from surface preparation to texturing, and it offers free consultations so its customers can make sure they’re getting the right colors for their projects. 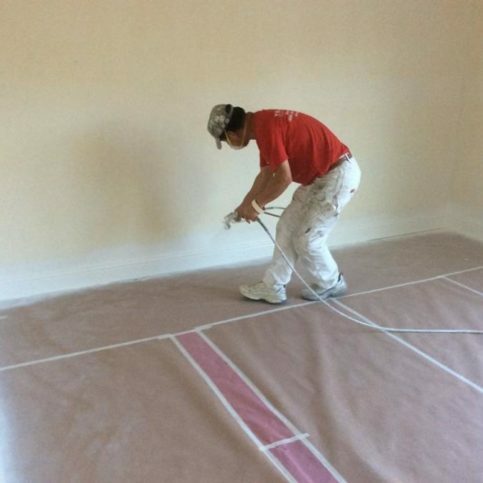 When choosing paint for an interior painting project, don’t forget to consider the sheen. In anticipation of an upcoming painting project, many homeowners tend to focus on choosing and coordinating colors, but another important yet often overlooked consideration is paint sheen. There are numerous choices when it comes to paint sheen, from flat to low-luster to semi- and high-gloss, and each possesses specific aesthetic characteristics. However, in addition to considering aesthetics, it’s a good idea to account for practical attributes when making your choice. One attribute to consider is “washability,” as some sheens are more maintenance-friendly than others. For example, a flat-sheen surface isn’t very receptive to cleaning and can actually get damaged if you attempt to scrub off stains. On the other hand, low-luster sheens like satin and eggshell are both durable and easily washable, which is why they’re typically recommended in high-traffic areas of the home, particularly where small children spend a lot of time. A: The average time for an interior or exterior paint job is three to four days, depending on the size of your home. A: We only use premium brands like Kelly-Moore, Dunn-Edwards and Sherwin-Williams. If you don’t have a preference, we’ll usually go with Dunn-Edwards—it’s a good product and the manufacturer provides great customer service. Q: What if you start an exterior paint job and it looks like it’s going to rain? A: Exterior paint takes two to three days to fully dry following application, so we always stay tuned to the weather forecast. If there’s more than a 30 percent chance of rain, we’ll wait for the forecast to improve before painting. Q: What if I have wallpaper on the walls that I want painted? A: We can remove wallpaper for you. 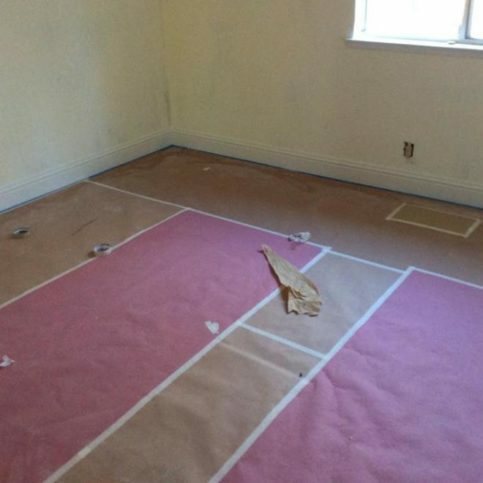 However, if it looks like the wallpaper is going to create too much damage when it’s removed, we’ll just prime over it and seal it before painting. Q: What’s a good product for cleaning my walls? A: Trisodium phosphate (TSP) works well for wiping down walls—it effectively removes oils and grime without damaging the paint. 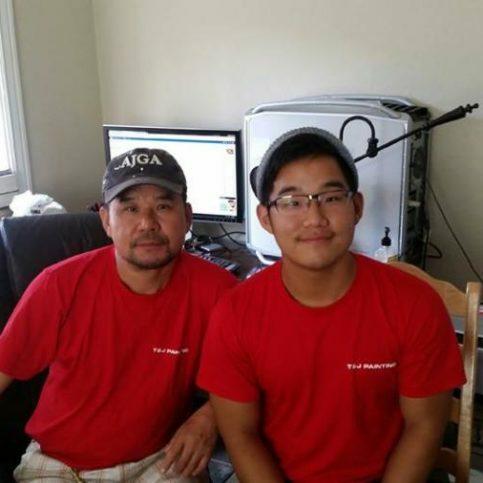 Shawn Park is a second-generation painting professional and general manager of T & J Painting, a Diamond Certified company. He can be reached at (650) 924-1976 or by email. A: Climbing about 20 feet up a rock wall without any harnesses. It was the scariest thing I’ve done in my life—about halfway up, I was regretting it. A: Kevin Hart, Dave Chappelle and Lavell Crawford. SAN JOSE — A common occurrence with painted metal railings or fences is premature chipping and fading caused by weather damage and sun exposure. Fortunately, with a little maintenance, you can repair this damage and add some extra durability to your paint job. 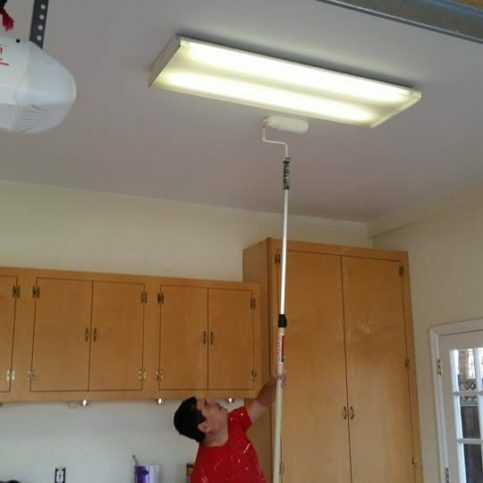 After performing a light sanding, clean the surface thoroughly. Next, use a brush or sponge roller to apply a rust-preventative enamel product, such as Kelly-Moore 1700. Depending on the kind of sheen you want, you can choose either a gloss or semi-gloss. When finished, this application will give your painted metal surface a smooth look and texture while providing more durability against outdoor elements. SAN JOSE — Host, Sarah Rutan: If you have a painted metal railing or fence, a proactive maintenance step can help prevent premature chipping and wear. Today we’re in San Jose with Diamond Certified Expert Contributor Shawn Park of T & J Painting to learn more. Diamond Certified Expert Contributor, Shawn Park: So sometimes customers have metal railings or fences that have started to chip and have faded over the years of sun exposure and weather damage. What you can do to kind of buff up these surfaces is perform a light sanding, clean off a surface thoroughly, and then use a product such as Kelly-Moore 1700, which is a rust-preventative enamel. You can use either the semi-gloss or gloss depending on what kind of sheen you’re looking for. 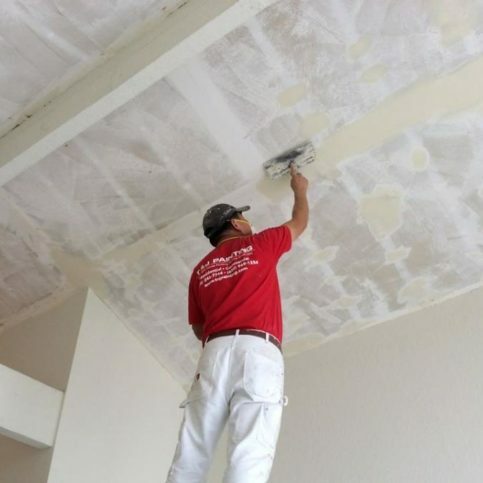 Apply it on with a brush and a sponge roller, and you can achieve a smooth surface, and also, in the future a more durable surface that you can look forward to looking at. T & J Painting : Average 8.6 out of 10 based on 38 unique customer surveys of customer satisfaction. They were very reliable, competent, and respectful. They did an excellent job. They cleaned up after themselves, and they were on time. They were just perfect. They're good, and they're reliable. They did a really good job. 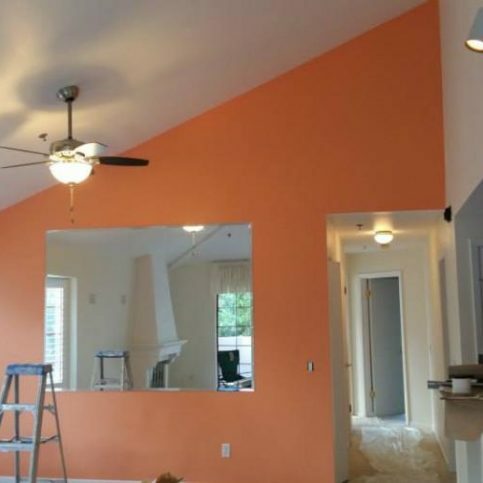 They were really clean with the painting and made sure the other areas didn't get paint on them. Their job was high quality. They did a really good job. They're dependable, they did what they told me they were going to do, and so far, I have no complaints about them. They are very reliable and professional. They also have a good price. They showed up on time, and they did the job very quickly. He just knows what he's doing, and he does a great job. His price was reasonable, and he showed up on time. I would say they're honest, reliable, they do quality work, and they go above and beyond. They did a lot of really good things. 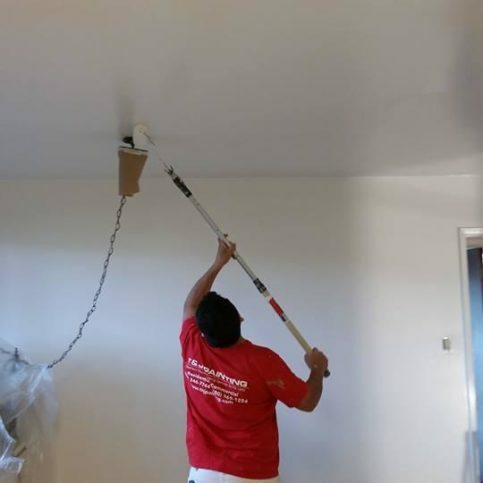 It's hard to find a good painter who you feel you can trust, and I feel I can trust them. They came with a really good quote, and it was easy in that I could email them. Also, it's really important that they're able to self-sustain, and they can. In other words, they show up when they're supposed to, they do a really good job, and then they let you get on with your life. Their prices are reasonable, and they do good work. They're very eager to do a good job, and they're prompt at everything they do. They're really courteous, and they care about doing everything right. 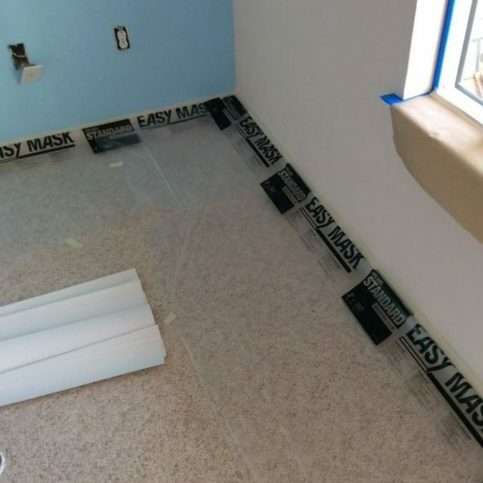 They go the extra mile to make sure that you're happy and satisfied with the work. They provide a good service at an affordable price without trying to gouge you. That's tough. They were very clean and tidy while they worked, and they left the place clean. They were also speedy. They were in and out, and they have a high degree of professionalism. I would say that they're very willing to work with you, and they want to make sure the client is happy. I appreciate their responsiveness, their willingness, and their desire to provide the service that I want and to give me a product I'm happy with. They did some work for me, and I was pretty satisfied. I think the rates are reasonable. I'd say that they were very flexible around my schedule. If I ever need any sort of touch up work done, they have no problem coming out to do it. I would highly recommend them. They are very precise and detailed. I have had no problems with them in the many, many years of doing business with them. They did a good job. I would recommend them. I think it's a good value. He's always prompt, and his prices are good. The pricing is good, competitive pricing. They did good detail work. They were respectful, clean, and they had good communication.